The final hole. 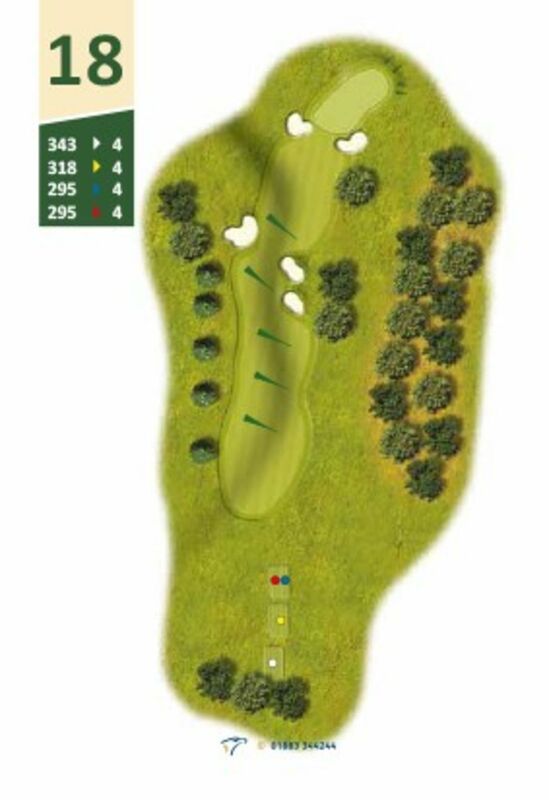 Despite the relatively modest yardage, the heavily bunkered and contoured green can break many a score! However, if the flag is on the right hand side the ball will gather towards the hole, leaving a birdie chance for the accurate second shot, critically overlooked by those watching from the clubhouse!